As a single girl, I like to observe. I observe child raising techniques, happy/bad marriage techniques, and dating techniques, just to name a few. As I have mentioned before, the majority of my world is married with babies. I have a few divorced friends, but most are married or seriously dating. I at the moment am completely unattached, with no prospect. I don’t even have a crush on anyone. It’s kind of boring, but when I am not distracted by a relationship, it gives me the opportunity to fully engaged in what is going on around me. It makes my heart sad to watch as couples constantly miss each other. 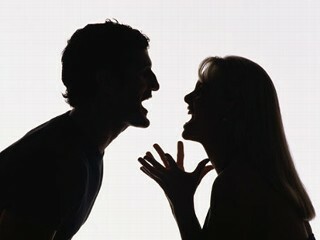 As lack of communication over months or years, turns into resentment for the one that they love. I am currently watching my parents 40 year marriage fall apart. They have spent the last 40 years not communicating. When something bothers them, they don’t tell the other person, each is always right and the other is always wrong. I observe and watch so that hopefully I will not make the same mistake as those around me. I don’t have to touch the stove to know its hot. I can see that it is hot by the red mark that it produces. Watching my friends and family struggle in their marriages makes me sad, and also makes me realize what a selfish world we really live in. How many people stay married anymore? How many marriages actually survive, and not just survive, but thrive? Today I am thankful that I don’t have to deal with a mess, with hurt feelings, with miss reading each other. Today I am thankful that I am single! This entry was posted in random thoughts and tagged marriage, mistakes, parents, random thoughts, thankful.